Happy bEARTH Day to you! Earth day isn't the day that our planet was born, but we can still treat it like it is. Just like on your birthday when everyone treats you really nicely, buys you presents, and does things that make you happy, on Earth's special day you can do the same by participating in Earth Day activities. 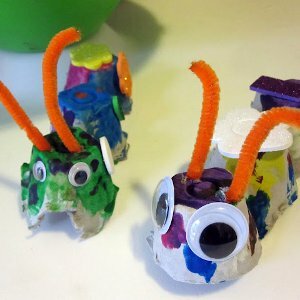 If you don't know what to get the Earth for its bEARTH Day this year, AllFreeKidsCrafts has gathered 45 Earth Day crafts and activities to help you celebrate with our planet. Two of the things that make the Earth extra happy are when you recycle and when you plant flowers to keep Earth healthy and green. This Earth Day, see if you can do both. Twelve of the Earth Day crafts below are made from recycled materials like egg cartons, toilet paper tubes, and water bottles. The Earth is overjoyed when instead of throwing away your recyclables, you use them for something else. That's because the Earth loses a lot of space when all of the trash gets thrown out rather than reused or recycled. 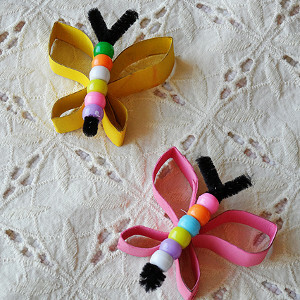 Below you'll find adorable Earth Day crafts that are perfect for spring and made from recycled materials. It would certainly be a wonderful bEARTH Day if you crafted with items you've already used. Earth would also be so very grateful if you planted on its day of celebration. When you plant, you're helping the Earth stay green and happy. Plant flowers, grass, vegetables, or anything else you can find. A colorful Earth is a happy Earth, so choose red tomatoes, purple flowers, green grass, and orange carrots to plant into our wonderful planet. Some of the great Earth Day activities and garden crafts below help you plant in creative ways. Wow the Earth when you recycle and plant at the same time with the Water Bottle Flower Pot. 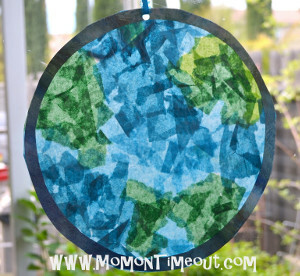 After you've helped the Earth with your recycled materials crafts and Earth Day activities, finish off the party with some Earth Day crafts that simply celebrate the Earth. Any globe craft that reminds you how important our planet is and how essential it is that we keep it healthy will be the perfect way to end the day. If you need ideas for Earth Day, there's good news: you don't have to look any further than your recycle bin. When you recycle, Earth doesn't have to use its energy to make another item. That means that for Earth Day, you're gifting the Earth with some relaxation when you make recycled craft projects. 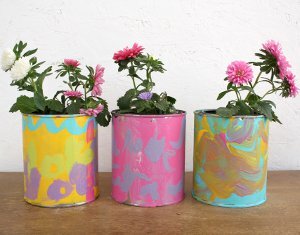 Remember that one person's trash is another's treasure, and sometimes, like in these Earth Day crafts, your own trash can be your own treasure. Celebrate Earth Day by giving our planet a bit of a break while you and your little ones get busy with these thrifty Earth Day activities. 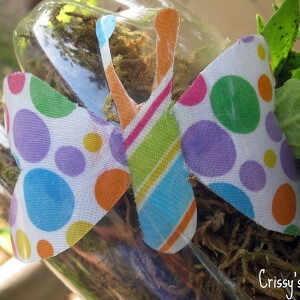 Turn your thumbs green this Earth Day with plant craft ideas and garden crafts for kids. The Earth loves to see its baby seedlings blossom, and what a present it would be if it had thousands to watch bloom this year. Below are some really fun ways to get plants growing. Use an eggshell, shredded paper, a water bottle, and more obscure objects to make the Earth smile. 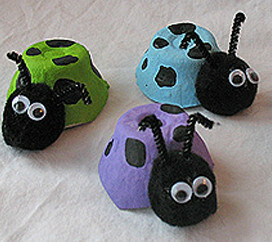 Kids will absolutely love learning how to make a garden and beautify it with their craft projects. 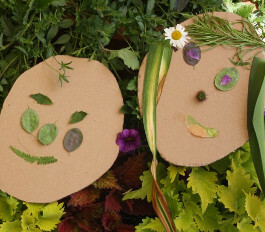 Discover even more project ideas in our collection of Going Green: 40 Garden Crafts for Kids! 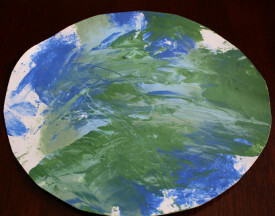 Earth Day for kids is always better when there are fun art project ideas involved. Celebrate the Earth in all of its round, green and blue glory with some general Earth Day crafts for kids. The Earthy Smoosh Painting is a toddler favorite, and the necklace is worn all over tweens' necks to celebrate our wonderful planet. 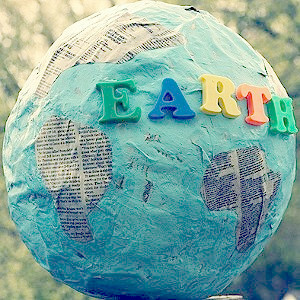 Don't forget to be in awe of the Earth's size when you make a very miniature model with papier mache or clay. Each one of these Earth Day craft ideas is the perfect way to celebrate this eco-friendly day, so grab the kiddos and dive in!